A fashionable counter and a Starry sky Kotatsu will appear on the weekend before Christmas. 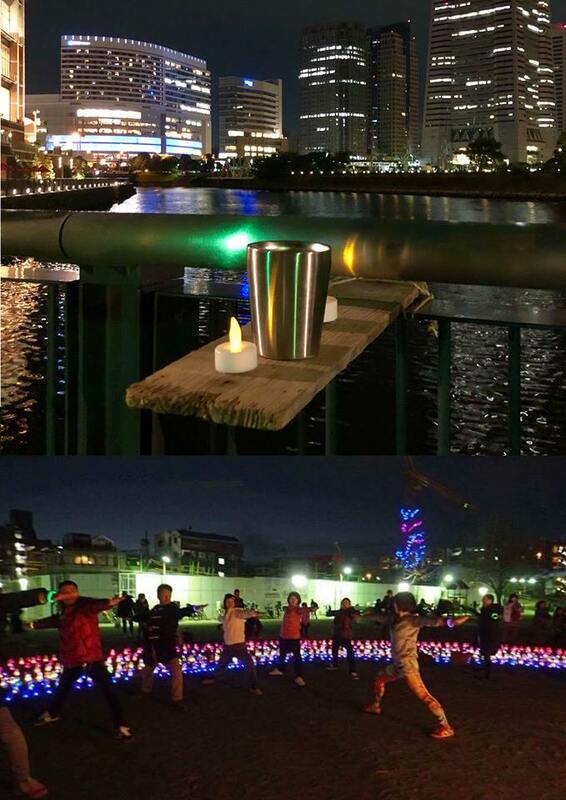 And also you can experience Candle Yoga with many candles behind the illumination on the water! Tenor sax live concert as well. All buildings around Minatomirai will light up on 21st. Please visit and spend a luxury night with the marvelous view. ※We are challenging this event which was due on November 4. ※Please bring comfortable clothes and a yoga ma. And the participation & operation fee is 1,000 yen. ※Please bring drink and snack yourselves at the counter and Starry sky Kotatsu. We will serve beer, hot wine, and tea a little.